Strong sound, clear dialogue, DTS Virtual:X, and the ability to connect two Bluetooth devices at once make this small speaker a winner. 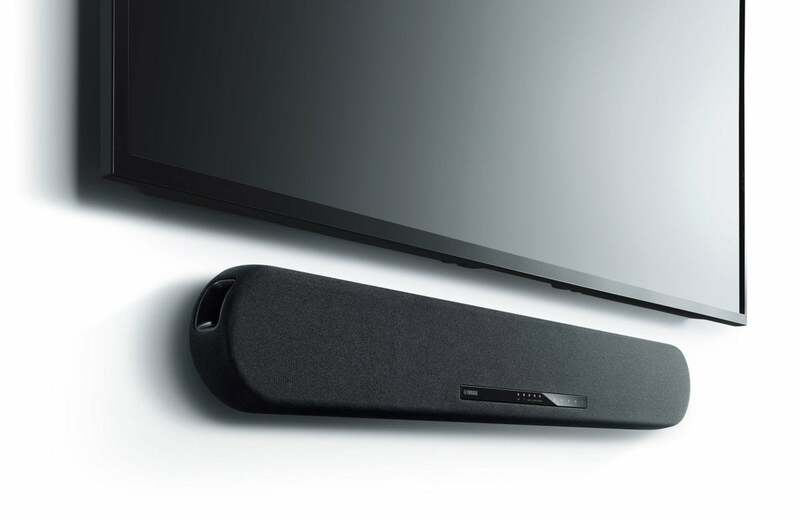 Yamaha's entry-level soundbars have consistently earned TechHive's Editors' Choice award. Yamaha's YAS-108 continues that tradition. Right off the bat, you'll notice aesthetic refinements compared to its predecessor, the YAS-107. Yamaha's YAS-108 exhibits a further push towards the rounded design introduced with last year's models. The YAS-108 resembles a capsule-shape as opposed to a hard rectangle. At just shy of 36 inches wide, 5.125 inches high, and 2.5 inches deep, the YAS-108 can easily fit underneath any modern TV or sit on top of a shelf or countertop. 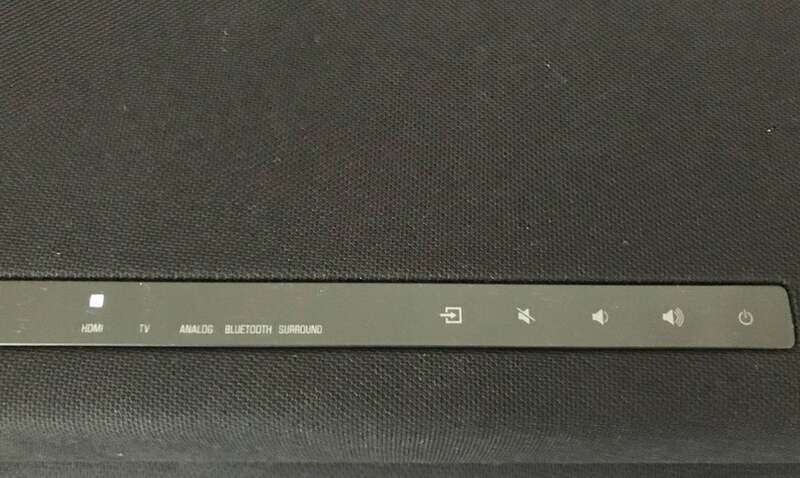 Square-shaped rubber pads located on the unit's rear will prevent the soundbar from scratching delicate surfaces while also keeping it in place. The YAS-108 comes with a wall mounting template and keyhole mounts on the back of the soundbar, but you'll need to supply the appropriate mounting screws. The YAS-108's driver arrangement remains unchanged from last year's model. It is still a dual-ported design featuring two onboard 3-inch subwoofers, two 2.125-inch midrange cone woofers, and two 1-inch dome tweeters. Yamaha claims that the YAS-108 sports a total of 120 watts of power. Of that, 60 watts is dedicated to the subwoofer and 30 watts goes to each of the YAS-108's stereo drivers. Though I no longer have the YAS-107 review sample on hand, it's a safe bet to say that the two should sound similar. What's included in the box. If you're looking for a soundbar with a sub, don't dismiss the YAS-108 outright. The Yamaha will play very well within its frequency range with only the deepest bass notes missing. While the YAS-108 doesn't include a subwoofer, the unit features a subwoofer output port. Most soundbars at this price-point don't. You can easily add an aftermarket subwoofer to the YAS-108, further enhancing its deep bass performance. In fact, you can probably purchase a higher-quality subwoofer than the ones that come bundled with other brands of soundbars at this price point. The YAS-108 can be wall-mounted or set on a table. To enhance dialogue on any audio programming, the YAS-108 includes the company's Clear Voice dialogue-enhancement technology. Clear Voice does as its name suggests and lifts up dialogue to make it more intelligible. If you're looking for a soundbar whose primary purpose is to improve dialogue, the YAS-108 will serve you well. The YAS-108 features strong 4K Ultra HD compatibility. The YAS-108 will support 4K pass-through with HDCP 2.2, 4:4:4 color, and the most important HDR standards: HDR10 and HLG HDR. HLG has been adopted as the HDR standard for forthcoming 4K Ultra HD TV broadcasts. The YAS-108 does not support Dolby Vision or HDR10+. HDR support is a very important feature for users who will connect 4K Ultra HD sources directly to the soundbar for native audio decoding and video pass-through. With the YAS-108, there's now no need to split audio and video signals between the TV and the soundbar. The YAS-108 has several input options. The YAS-108 has just about all the input options you'll need: HDMI, Toslink optical, 3.5mm analog, and Bluetooth wireless. Because there's no Wi-Fi, the YAS-108 doesn't support Yamaha's MusicCast wireless, multi-room music-streaming technology. 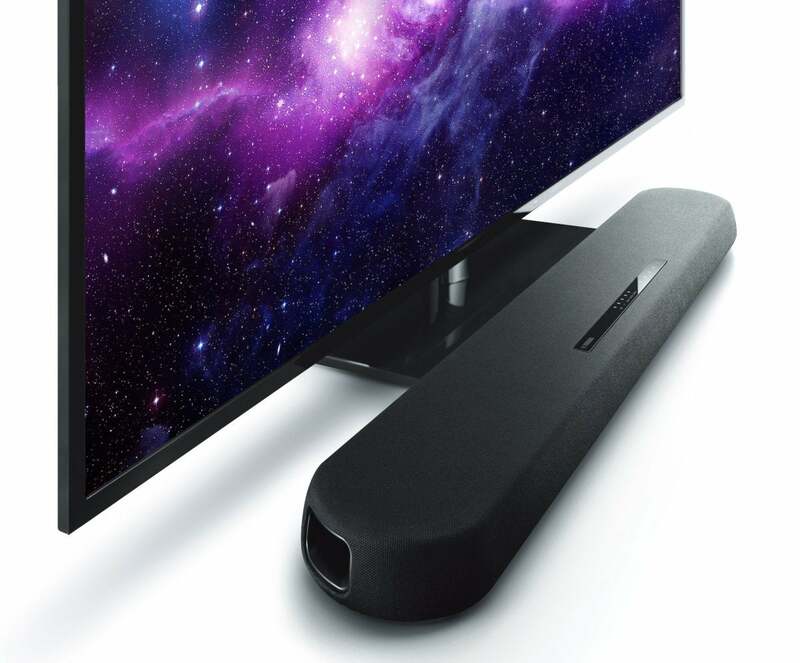 Yamaha has put all the inputs at a 90-degree angle to the bottom of the soundbar. The YAS-108 doesn't come with any HDMI cables. It comes only with a Toslink optical cable. The YAS-108 supports HDMI ARC (audio return channel). 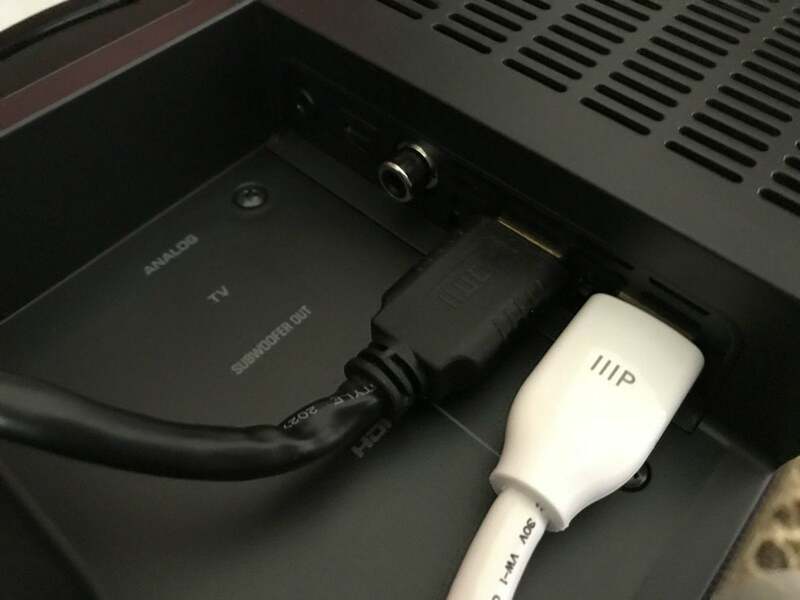 If your TV supports it, you can send audio from your TV to the soundbar through a single HDMI cable. In order for the feature to work, you typically need to enable HDMI CEC on both the Yamaha soundbar and your TV. Bluetooth 5.0 is standard on the YAS-108. Bluetooth 5.0 supports speeds up to 2Mbps—double the data speeds of Bluetooth 4.0. 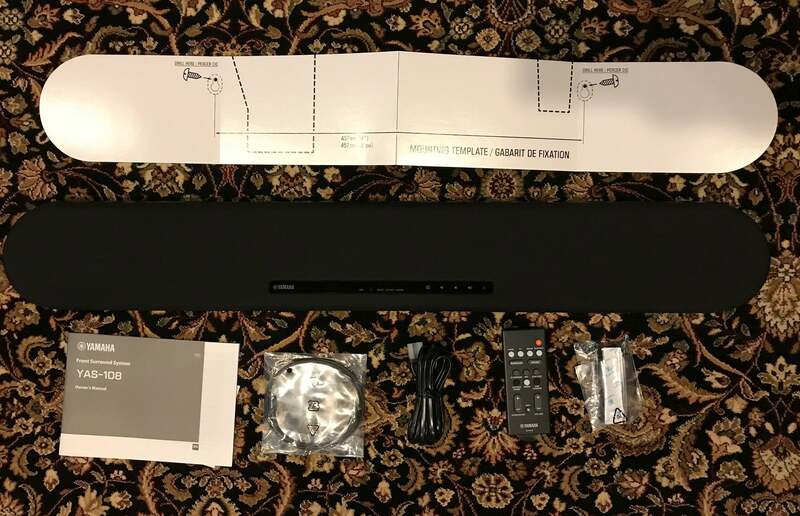 The Yamaha also supports multipoint connections—the ability to connect two Bluetooth devices to the soundbar at the same time. Using the feature is simple. To start playing audio from a second Bluetooth device, just stop playback on the current device and start playback on the second Bluetooth device. 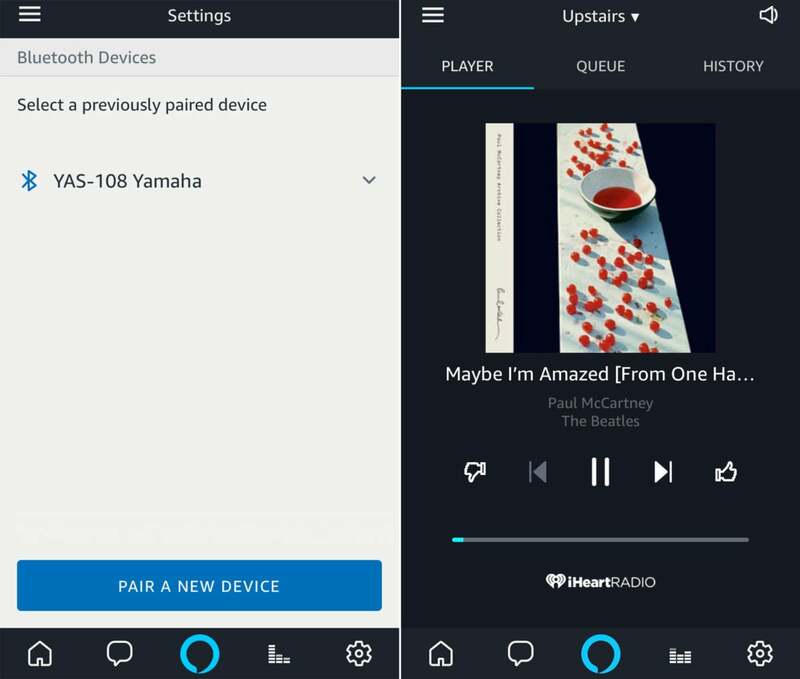 I was able to link my Amazon Alexa Dot to the YAS-108 and play Alexa-based music and audio programs with the YAS-108's superior sound. The YAS-108 has some slick implications if you've started deploying smart assistants in your home. I loved being able to pair my Amazon Alexa Dot with Yamaha's speaker. I simply launched the Alexa app on my iPhone 7 and paired it with the YAS-108. From that point forward, I could say, "Alexa, play the Beatles" and bingo, Alexa would play its audio through the Yamaha. What a night and day difference between the Dot's sub-par speaker and the YAS-108! Yamaha's remote is excellent. That's especially noteworthy since most soundbars at the entry-level price-point have cheap, credit-card sized remotes. The YAS-108 remote's buttons are cleanly and logically laid out and are distinguished by different colors. You can determine the most basic functions without looking. Contrasted with the YAS-107, the YAS-108's remote control adds a dimmer button. When pressed, the soundbar's LEDs will cycle between bright, dim, and off. The dimmer feature is most useful when the soundbar is wall-mounted, where the LED lights are facing directly at you. I'm glad Yamaha added this feature to minimize any potential distraction from the LEDs. 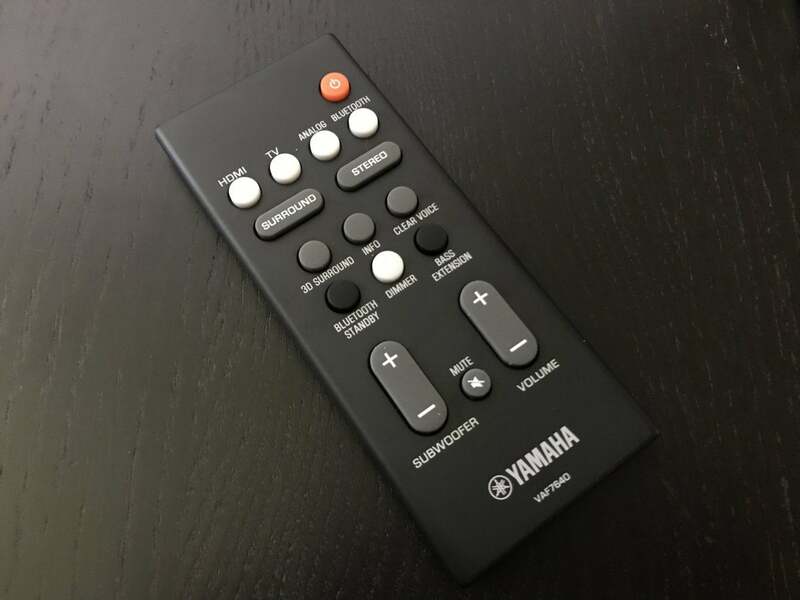 Yamaha provides an excellent remote control with its YAS-108. If you enable your HDMI CEC feature on your TV and the YAS-108, you can use your current TV remote to control both the soundbar and your TV. You can synchronize power on/off between your TV and the YAS-108; switch audio output between your TV and YAS-108; and adjust volume. If you want to eschew any physical remote, Yamaha says you can download the company's Home Theater Controller App to control the YAS-108's basic functions, such volume and surround mode. Unfortunately, when I tried using the app, it told me that the YAS-108 was not supported. 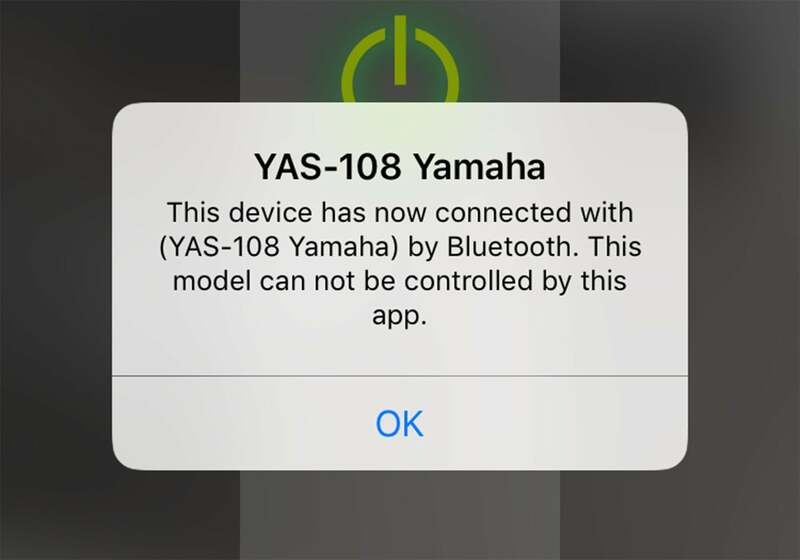 I reached out to Yamaha and they told me that because of the new Bluetooth functionality in the YAS-108 they would have a compatible update to the Yamaha HT Controller app sometime in August 2018. Yamaha's mobile app is scheduled to be updated sometime in August 2018 to support the YAS-108. DTS Virtual:X made its debut on the YAS-107 and continues that tradition on the YAS-108. DTS Virtual:X uses digital signal processing and psychoacoustic techniques to simulate an object-oriented audio experience in which sounds have height characteristics, even though there are no height or rear surround speakers available. DTS says DTS Virtual:X will up-mix any source signal from two-channel stereo to 7.1.4 channels. You enable Virtual:X by pressing the 3D Audio button on the remote. In my tests, Virtual:X created a far more expansive and immersive soundstage versus plain old stereo. As I've said before: I'm not a big fan of artificial processing, but DTS Virtual:X is superb. I connected the Yamaha YAS-108's input via HDMI to my Oppo UPD-205 4K UHD player and the Yamaha's HDMI output to my Panasonic ZT60 television. I fired up The Greatest Showman, and right from the opening menu loop the Yamaha's sound commanded attention. There was no question about the Yamaha's performance. The Yamaha had no problem with either dialogue or musical numbers. Hugh Jackman's, Zack Effron's, and Zendaya's vocals were clean and timbrally accurate. Best of all, the Yamaha beautifully rendered the emotional impact on Loren Allred's "Never Enough" and Keala Settle's "This is Me." The movie cut of "This is Me" has more percussions and bass than the album version; the Yamaha didn't miss a beat, providing excellent chest-punching excitement. Turning to Tron Legacy, the Yamaha's lack of deep bass became more apparent. At the start of Chapter 4, "The Grid," when Sam lands face down into the grid, it's accompanied by deep pulsating bass. Those notes didn't register on the YAS-108. Likewise, when the Recognizers hover above, the deep bass output from their engines was lacking. To bring that level of engagement to your experience, you'll certainly want to add a sub to the YAS-108. The Yamaha's front panel has controls and LEDs. You can dim or turn off the LEDs via the remote. I tested DTS Virtual:X during my listening and it significantly enhanced any program's soundstage height and width. I was able to use Clear Voice on top of Virtual:X. It's nice to know users have that option. I found that of all the different settings, plain old stereo still yielded the clearest and most precise audio. Engaging Clear Voice noticeably enhanced dialogue, but it consequently boosted all sounds within that frequency range. Overall, Clear Voice remains a solid option for consumers who are looking for enhancing dialogue intelligibility. If you're looking for an entry-level soundbar, you just can't go wrong with Yamaha's YAS-108. This is a superb-sounding, entry-level speaker that can enhance dialogue or expand a movie's enveloping sensation with DTS Virtual:X. While the YAS-108's Achilles' heel is deep bass, you can always add an aftermarket subwoofer thanks to the soundbar's subwoofer output. If you're in the market for an entry-level sound-bar, the YAS-108 needs to be on your short list. It's already found a place on our Editors' Choice list. Yamaha's YAS-108 is one of our favorite entry-level soundbars. Needs a subwoofer to render deepest bass notes.